Toby grey is one of the fastest rising female artist in Nigeria. 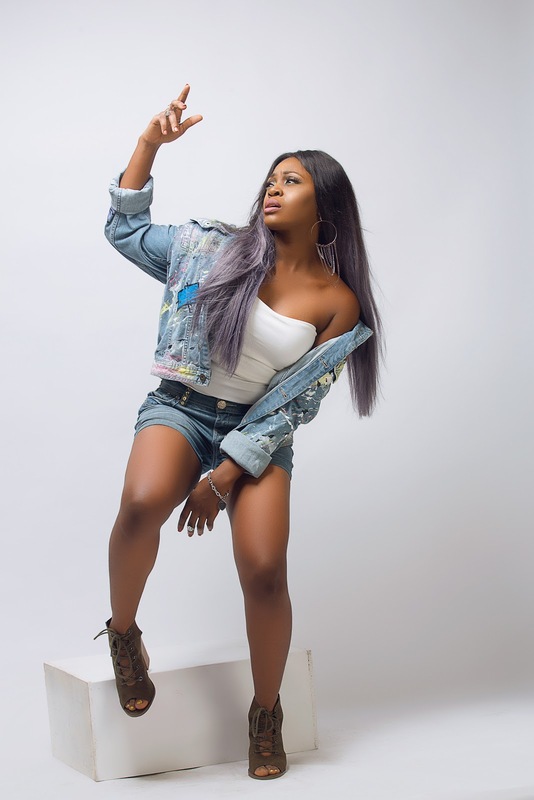 After the release of her French version of Mad over you cover by Runtown, she has been gaining so much attention from fans all within Nigeria and internationally especially in Francophone countries. Applaudissez Which means clap in french is her first official single this year and it's set to premier in Nigeria this week and all over the media across Africa‎. Applaudissez which was produced by fast rising producer T Yemmy, Mixed by Dre Stick & Swaps with final mastering by Swaps, has a bit of English and French flows which will expand her fan base to other french speaking countries. Toby grey is signed to her own label Grey Nation and Blaze Media Management Company. Check out her new look in these amazing images shot by Tcd Pictures, make up by Lolade pro make ups and styled by ‎Jane Michael Ekanem.